The earliest known inhabitants of the area now part of the City of Lomita were the Gabrielino Indians in a village they called Suangna, or "Place of the Rushes", near what is now the intersection of 230th Street and Utility Way in Carson. This land was originally a small part of the Spanish land grant called Rancho San Pedro, given to Juan Jose Dominguez in 1784 ( See the History of the South Bay for a discussion of the early Spanish land grant ranchos and the lengthy disputes between the Dominquez and Sepulveda families over this area). Jose Dolores Sepulveda had grazed cattle in the area below the Palos Verdes Peninsula since 1809, and had many on-going disputes with the Dominquez family over Sepulveda's claim to a large portion of the Rancho San Pedro. 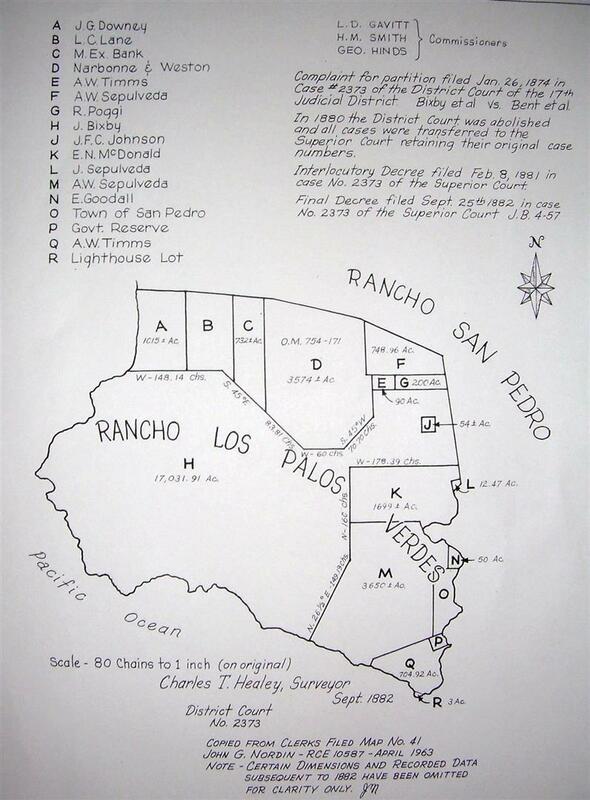 In 1834, a judicial decree was made by Governor Jose Figueroa which was intended to settle the dispute between the Dominquez and Sepulveda famiies, and Juan Capistrano Sepulveda and Jose Loreto Sepulveda, Jose Dolores Sepulveda's sons, were awarded the 31,629 acre Rancho Palos Verdes. The partition decree left the Dominguez family with 43,119 acres reducing Rancho San Pedro nearly by half the area of the original grant. During the period from 1865 to 1880, the Sepulvedas were engaged in 78 lawsuits, six land partitions suits, and12 suits over eviction of squatters. Most of the land that constitutes present day Lomita was sold to a farmer named Ben Weston and the Ranch Water Company, which sheep farmer Nathaniel Andrew Narbonne owned. Narbonne received 3,500 acres. Narbonne had moved to Lomita from Sacramento's gold rush country in 1852. He had initially worked with General Phineas Banning in Wilmington and later, with partner Ben Weston, grew wheat and raised sheep on Santa Catalina Island. Lomita gets its name for the Spanish word for "little hills". Development in Lomita began in earnest in the period of 1907 - 1909. In 1923, oil was discovered in the Lomita area. About 500 acres of land in Lomita were used for drilling for oil. In the 1930's the predominant land use was for farming of celery and strawberries. Development boomed immediately after the end of World War II. By the early 1960's all but approx. 1.9 square miles of the original 7 square miles of the original development of Lomita had been annexed by the adjacent city of Torrance. After several unsuccessful attempts, the City of Lomita was incorporated on June 30, 1964. Lomita is served by the Los Angeles Unified School District. In 1989, 1993, and 1999, the citizens of Lomita attempted to secede from the Los Angeles Unified School District, but were unsuccessful.